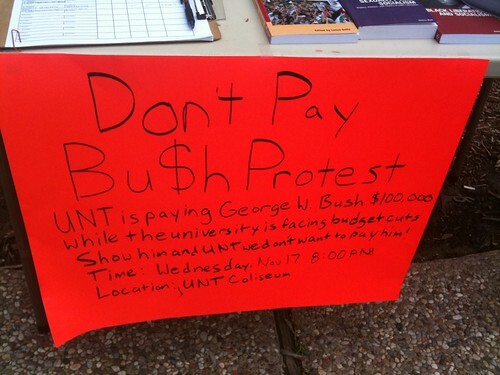 As a Storychaser interested in amplifying voices not often heard in the mainstream media, I couldn’t resist an opportunity to interview UNT student Will Clark last week about the reasons he opposes his university paying $100,000 to former President George W Bush for a speech to students later in the month. 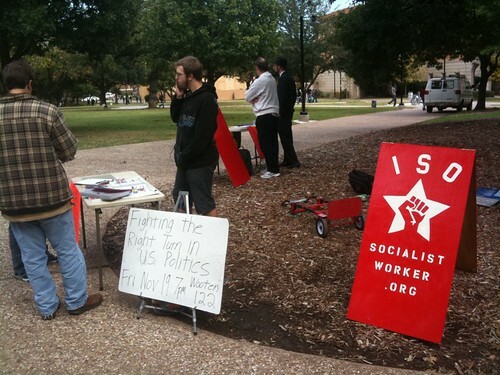 Will also explained some of his reasons for advocating socialism and the overthrow of the capitalist system in the United States. As a student of political science myself, I was quite interested to hear his views, even though I did not agree with all of them. Man I really love these people. Go ISO!